The chandelier was designed and made for Light + Building Fair 2018 in Frankfurt. 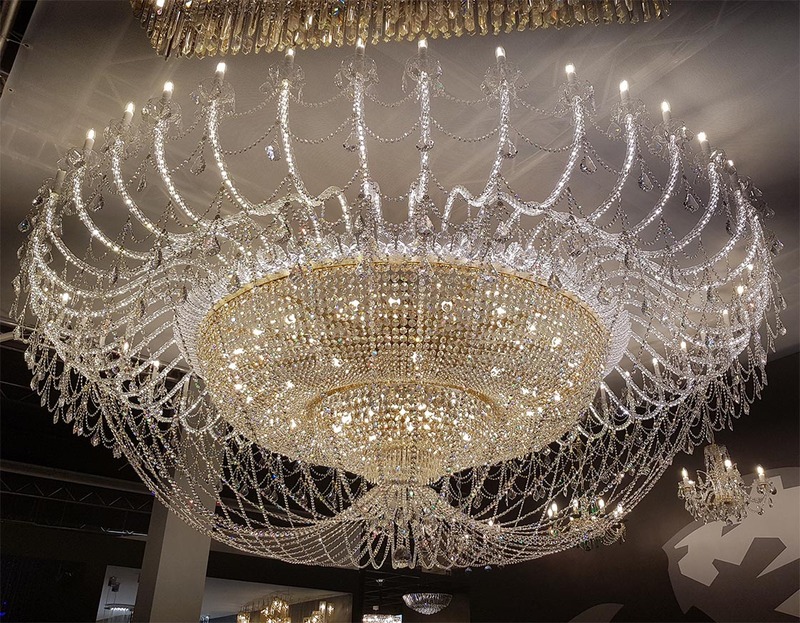 With dimensions 4 x 1.75 meters, the chandelier attracted the attention of all visitors passing by the exhibition stand. The chandelier was assembled from the top quality components, namely cut bowls, cut prisms and beads, twisted arms with intergrated LED strips. 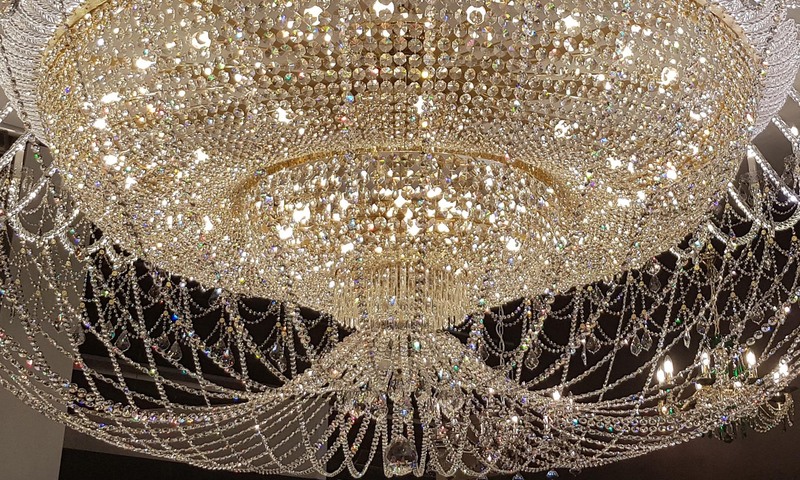 The chandelier had 99 bulbs and its total weight was 450 kg.